Seeing a loved one’s face light up thanks to the kindness and amazing attention to detail of a St Luke’s nurse is something you treasure long after that person has passed away. When Sister Karen Thorrington went above and beyond to create a ‘beach’ in the conservatory at Turnchapel so patient Kerri Thomas could fulfil her wish of feeling the sand between her toes one last time, relative Jess Warren’s heart was warmed. And it’s this treasured memory that recently inspired Jess, who co-runs wax melts company Queen of Tarts, to organise a showcase of small businesses to raise money for St Luke’s. 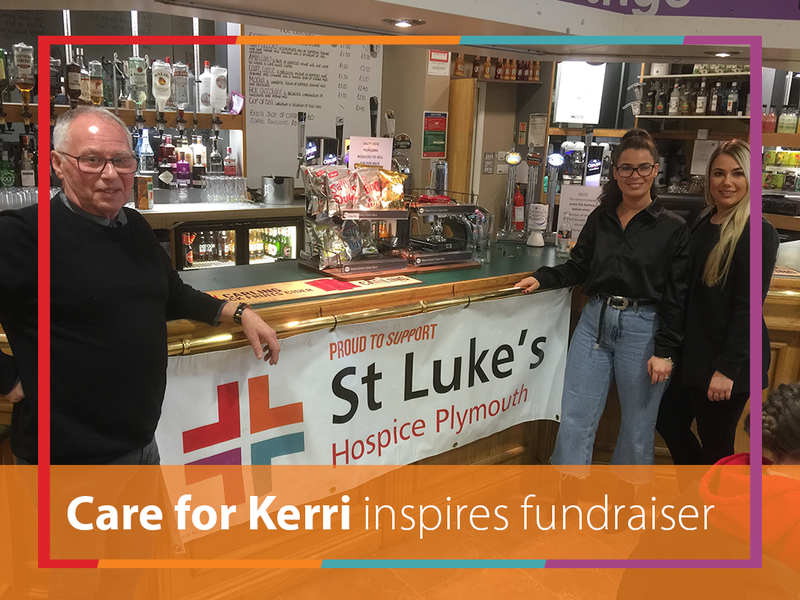 Not only did the showcase at Derriford raise the profile of St Luke’s as people came out to buy locally made products, it brought in £110 for our specialist care. Further proof of the high esteem in which our charity is held across the community. Learn more about fundraising for St Luke’s.